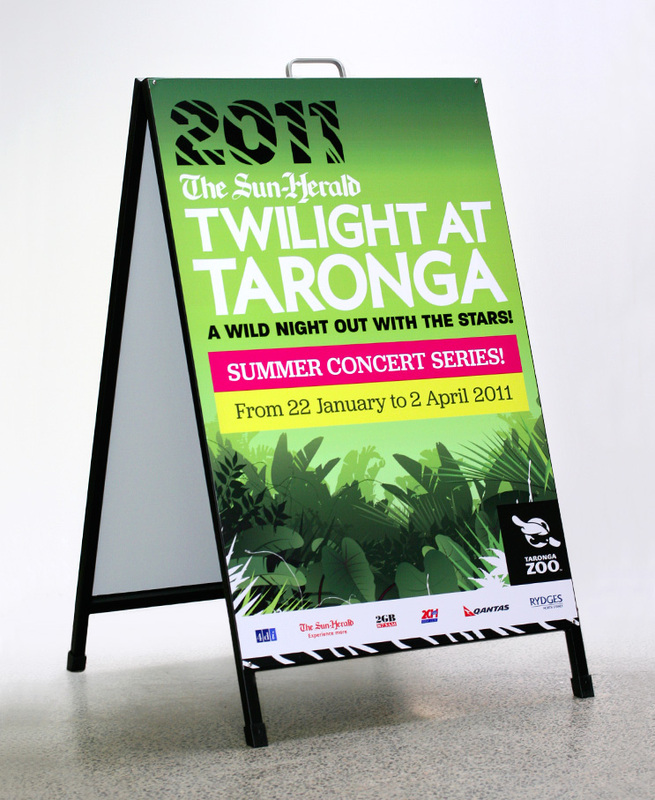 Twilight at Taronga is an annual event held over summer in the grounds of Sydney Zoo. 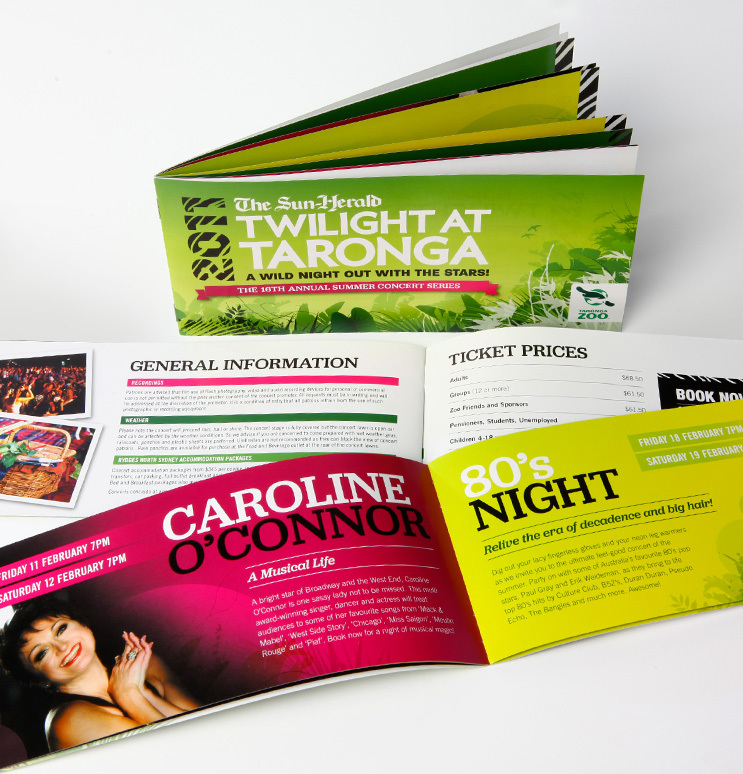 Featuring a seasons worth of musical acts and performances, the marketing collaterol needed to evoke summer nights in lush gardens. We used bright, fresh colours and decorative foliage to create an eye-catching concert design which was rolled out over press ads, posters and program booklets.